I have taken a liking to the rose flavor from recent past. Even a few drops of rose water add a rich kind of taste and flavor. 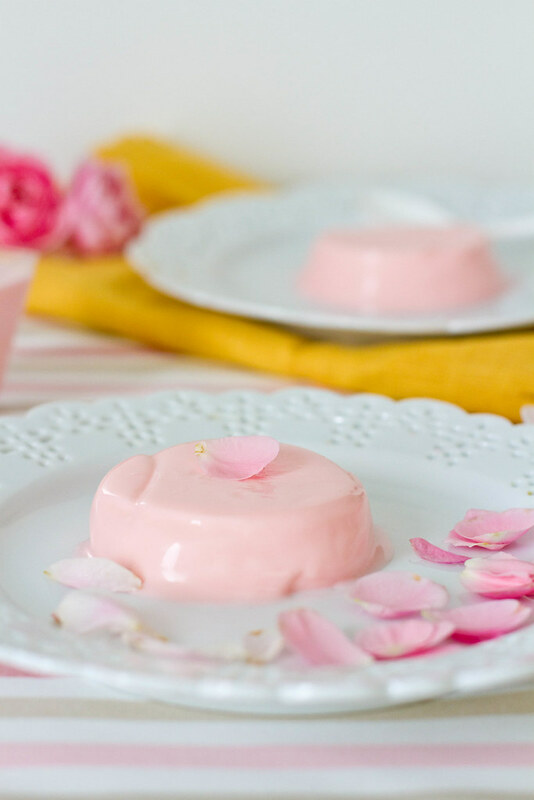 Panna Cotta has always been one of our favorite desserts. 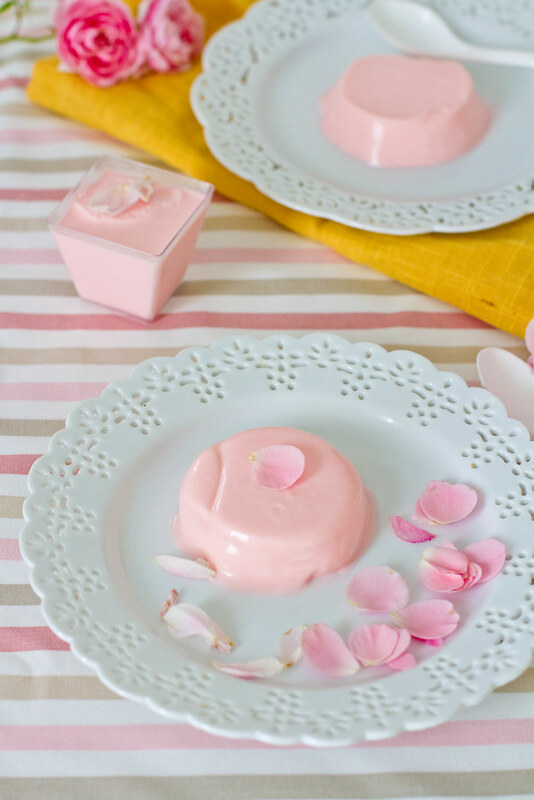 One of my first desserts in this blog was also a panna cotta. Today’s post is special because its my favorite dessert with favorite flavor. Its very easy to make and tastes divine! Simmer cream and sugar in a heavy bottomed saucepan until the sugar has melted. In a small bowl soak gelatin leaves and water to soften. Squeeze the excess water out of the gelatin and stir into the hot cream and sugar mixture.Mix well to combine. Take mascarpone in a bowl and whisk till smooth, pour the cream mixture into the cheese and stir to mix well. Add rose water and color. Mix well. Strain mixture and divide it into ramekins. Chill in the fridge for 2-4 hours or overnight if possible. To unmold the ramekin, run a sharp knife around the ramekin and then put the ramekin in a bowl of hot water for a few seconds. Turn it over into a plate. 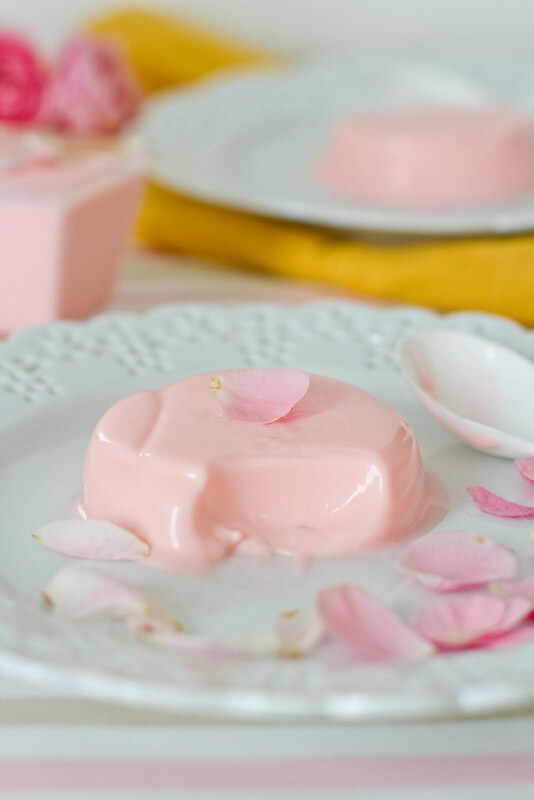 You can even serve Panna Cotta in small dessert cups instead of unmolding on to a plate. I must have used 4 gelatin sheets instead of 3. Because it was little too soft. Point noted for next time. Garnish with Rose petals for a nice presentation.